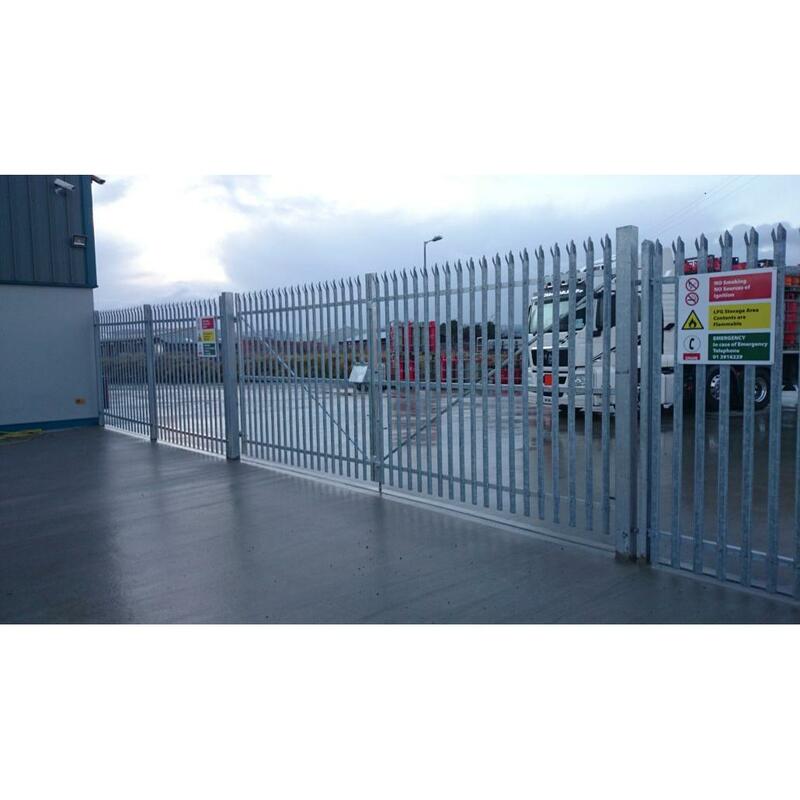 Component Palisade is one of the most commonly used palisade fences as it is easily assembled on site and it can follow ground contours and slopes within limits. 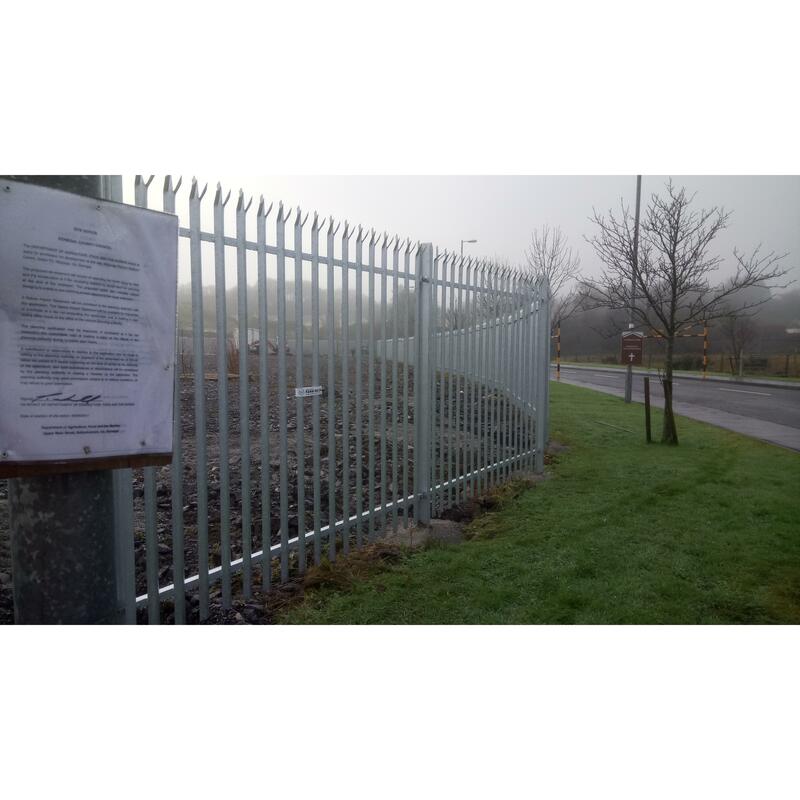 The bolted structure is not as secure as the fully welded designs but in situations where a strong deterrent is required, this is a great option. Its component structure means it is easily transported and is generally available from stock at the most popular height of 2400mm 3.0mm “D” shaped pales. You can choose a triad/pointed and splayed or rounded and notched top. It is available in 2.0mm & 2.5mm “W” shaped pales, and in 3.0mm, 3.5mm and 3.9mm “D” shaped pales. Available galvanised or galvanised and colour powder coated to a range of RAL colours. Single Leaf gates and Double Leaf Gates are available to match the fencing. The welded palisade system is designed for security applications where there is a risk of vandalism or opportunistic crime. It gives a delay factor greater than chainlink and most basic welded mesh systems and is more secure than the component palisade. Ground contours are dealt with by stepping panels or by specifically sloped panels to suit the slopes on site. You can choose a triad/pointed and splayed or rounded and notched top. It is available in 2.0mm, 2.5mm, 3.0mm, 3.5mm & 3.9mm “D” shaped pales. Single Leaf and Double Leaf gates are available to match the fencing. High Secure Palisade is designed for security applications where the risk is from determined attack or where there is a serious risk to life such as utilities, airports and data centres. This Specification has been developed in conjunction with the requirements of ESB and meets legal requirements and Health & Safety legislation. There are 23 heavy duty pales to the 2750mm wide panel compared to 17 in standard designs. Each pale has 4 full welds to the horizontal rails. Available galvanised or galvanised and colour powder coated to meet the clients requirements.